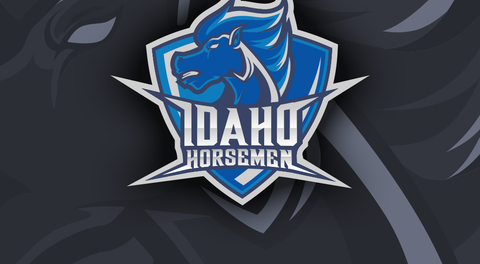 Nampa, Idaho - The Idaho Horsemen organization a been building for over a year to get to this day. 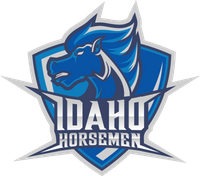 Saturday night, the Horsemen kicked off their inaugural season taking on the Wenatchee Valley Skyhawks. The American West Football Conference game was 1 of 2 game playing this kickoff weekend. The Reno Express hosted the Tri-Cities Fire down in Reno, Nevada. Over 2000 people started to enter the Ford Idaho Center about 4pm for the initial tailgate gathering and collect their Platinum Member T-shirts. The music was going, the atmosphere was building and the players started getting warmed up at 5pm. The long awaited anticipation of football indoors was about to kickoff. How will these players perform? Kickoff! The Horsemen received the initial kickoff and drove the ball down the field in 4 plays and Hayden Wright dove in to the end zone for the first ever Horsemen touchdown. The crowd went wild! It was then the Horsemen's defense turn and they did not disappoint. These guys were flying around hitting and made Wenatchee turn the ball over on downs. On the second posssesion the Horsemen struck quickly on the first play and scored on a 10 yard dum pass from Hayden Wright to Kevin Mattos where Mattos took the ball another 37 yards for a Horseman Touchdown. (47 yard pass). 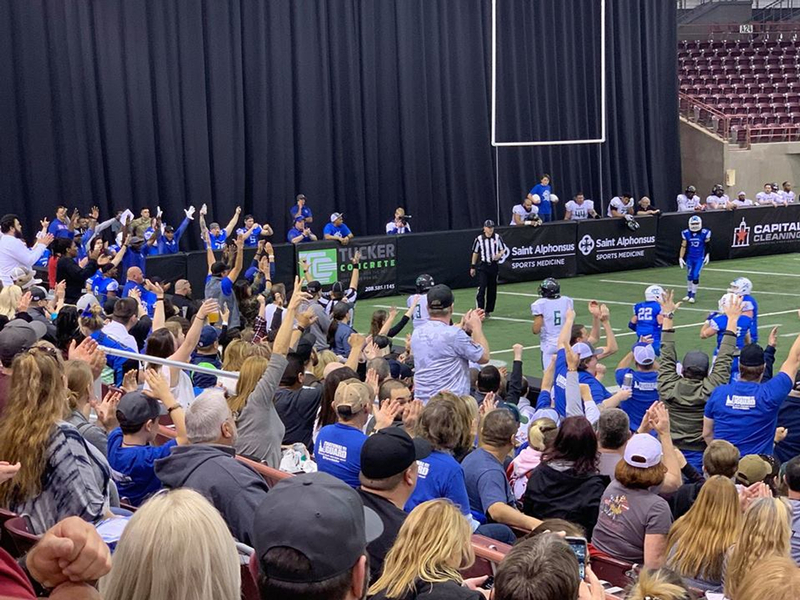 Wenatchee tried to make a comeback, but the Horsemen's defensive continued to fly around and the Offensive was able to answer whenever the Skyhawks attempted to get back into the game. Final Score Horsemen 33 - Skyhawks 22.